Thank you for another fascinating one. I have a vague memory of actually visiting this shop in order to buy a plug to convert my “Downunder” light to an “Upover” one! When I was walking home from a club around 25 years ago I picked up a magnificent ornate lamp that had been thrown out in New Road. I was very proud of it although everyone else thought it was an eye sore. It stopped working 4 years ago so I had to get rid of it. If only I’d known about Tjaden’s Electrical Service Shop then! 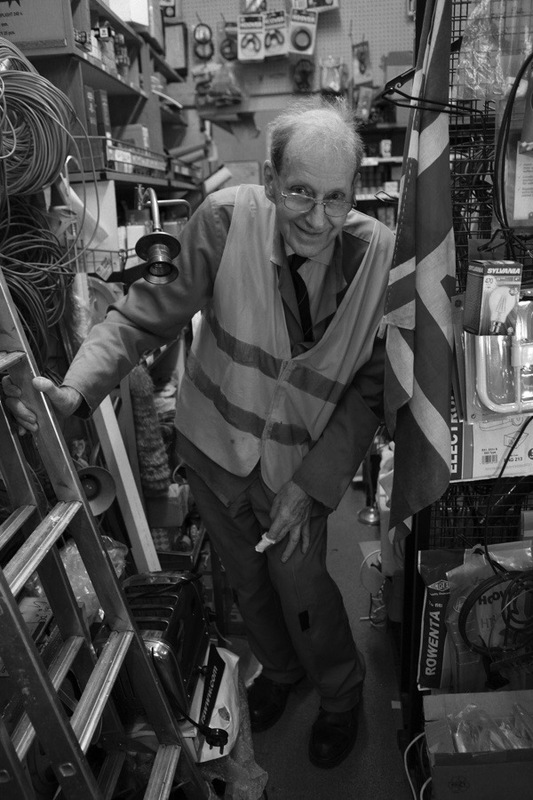 Good luck to Keith – the antidote to the throw away world. 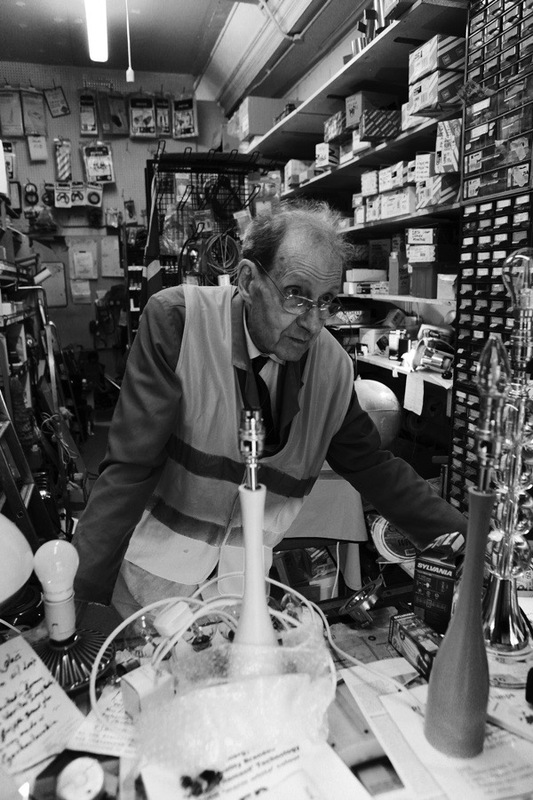 I came accidentally across Mr Tjaden’s electrical “hallway” shop on a visit a few years back to the then newly reincarnated Chatsworth Road Sunday Market. It was a revelation and a delight to have a chat with him. I particularly enjoyed his display of potential and actual electrical miss-haps and to learn of the only toaster – I think the Dualit – whose elements can still be repaired. I’m glad to see his expertise and charm celebrated. i live in norwich now but really miss what was my home for many years. we have a friend in norfolk who ran a cafe in chatsworth road, and my wife annie taught at rushmore infants in iris walkinshaw’s time. nostalgia ain’t what it used to be! I’d love to go to the Tjaden’s with some vintage lights but have been unable to get a reply when I ring them. I’m a Wapping-ite so don’t go past, so can anyone confirm they are still operational and what days and hours they are open? Thanks in anticipation!